Moda Operandi is KILLING me this week. Vintage Hermes, Chloe swimwear and now Kotur’s resort 2013 collection? Stop doing this to me!! Each little clutch boasts a unique and uber cool design, experimenting with different fabrics, shapes and sizes. The pink snow globe clutch is a throwback to the lava-lamp days, while the cicada clutch echoes of mature femininity. 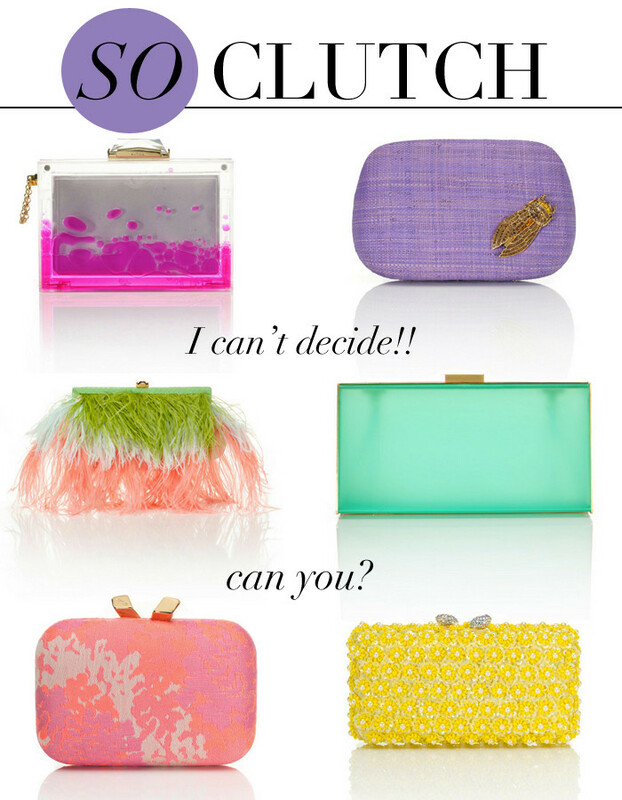 And don’t even get me started on the fino clutch with ostrich feathers. Too good.